Dr. 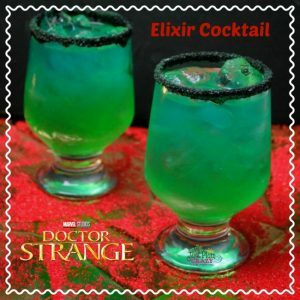 Strange Elixir Cocktail Recipe #DoctorStrange | Be Plum Crazy! The Dr. 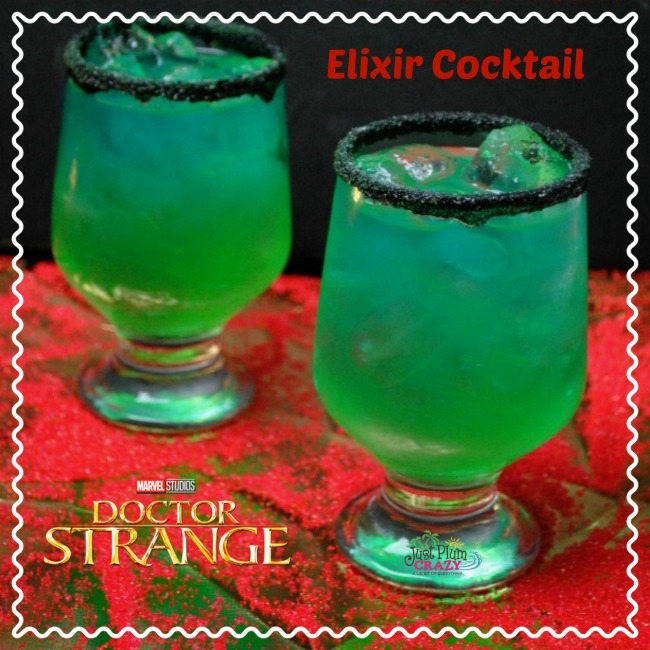 Strange Elixir Cocktail Recipe is brought to you by Just Plum Crazy. Dr. 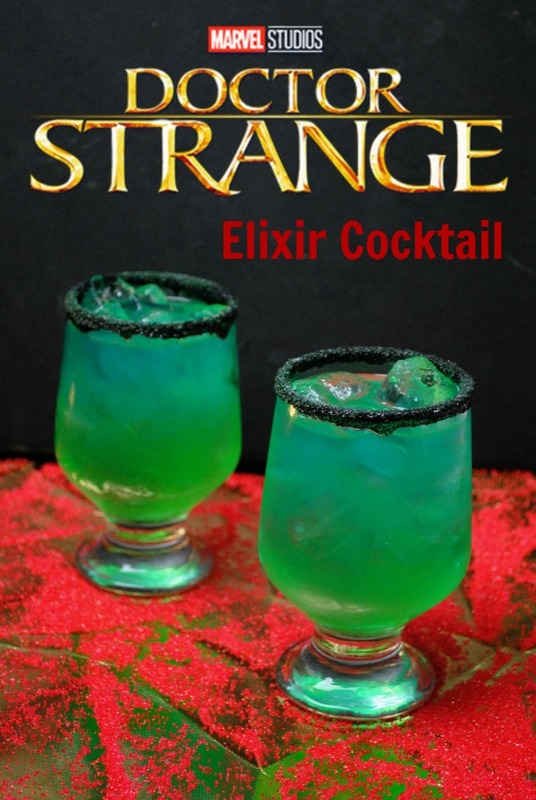 Strange Elixir Cocktail Recipe! With Dr. Strange available on DVD today, what better opportunity to have a Dr. Strange Elixir Cocktail than that! Made with a few of my favorites, you will begin to think you are a part of the movie. 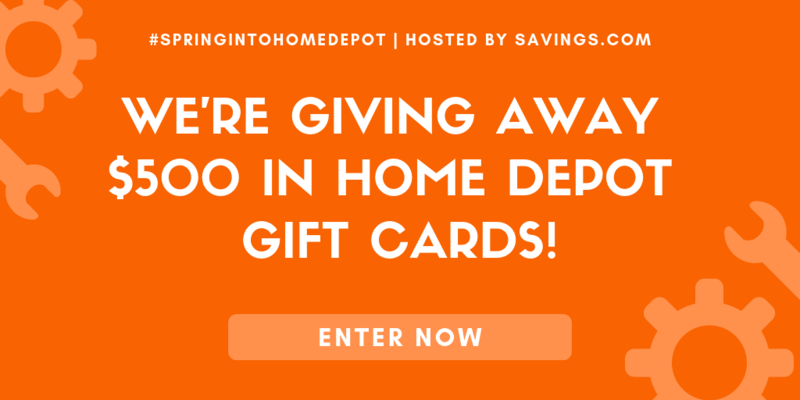 It’s easy to make and easier to enjoy! 1. Place on two small plates one with the black sanding sugar and one with simple syrup. 2. Dip your glass in your simple syrup and then the sanding sugar and set to the side to dry for 2-3 minutes. 4. 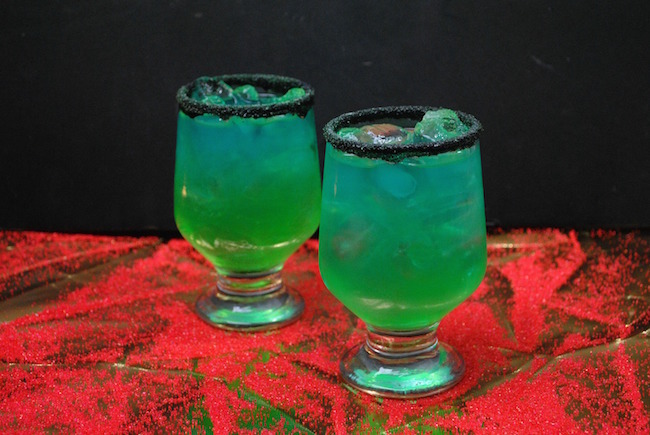 In a bar shaker add 2-3 pieces of ice, coconut rum, melon liquor, triple sec, and pineapple juice. 6. 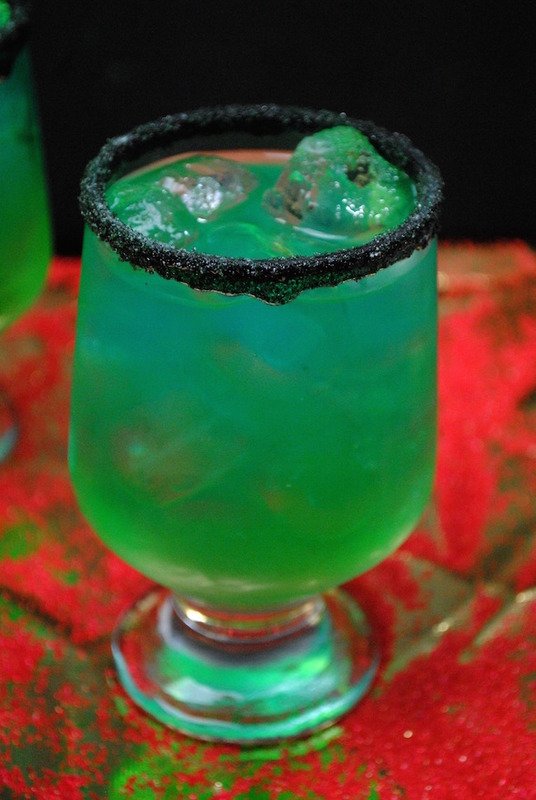 Pour your liquor mix into a glass.